Cindy Roth (Class of 2010) took her grandchildren for a walk at the Indian River Land Trust (IRLT) Lagoon Greenway accessed at the end of 8th Street off of Indian River Boulevard. Much of this 187-acre property was purchased by Indian River County with its land acquisition funds and some of the wetlands were part of the initial McKee Botanical Garden purchase made by the IRLT. Her grandchildren asked about the red-berried plant pictured above. 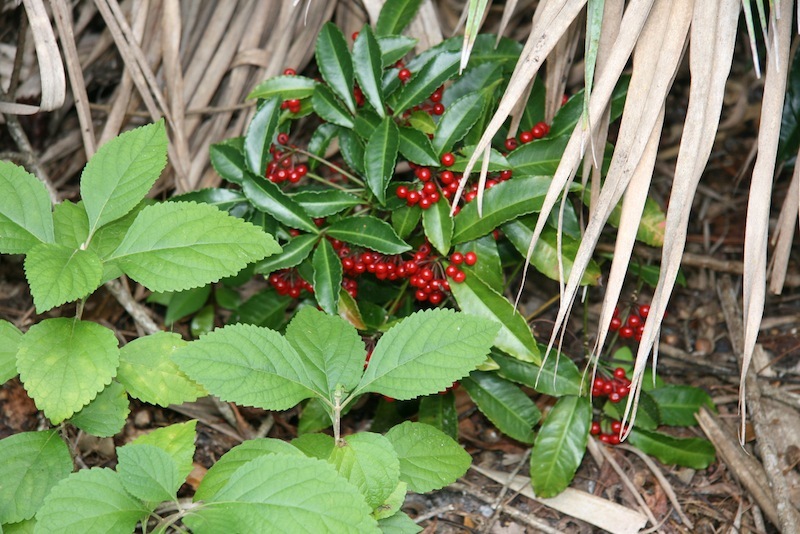 Unfortunately, this plant is a pernicious invasive pest plant commonly called coralberry or spiceberry. 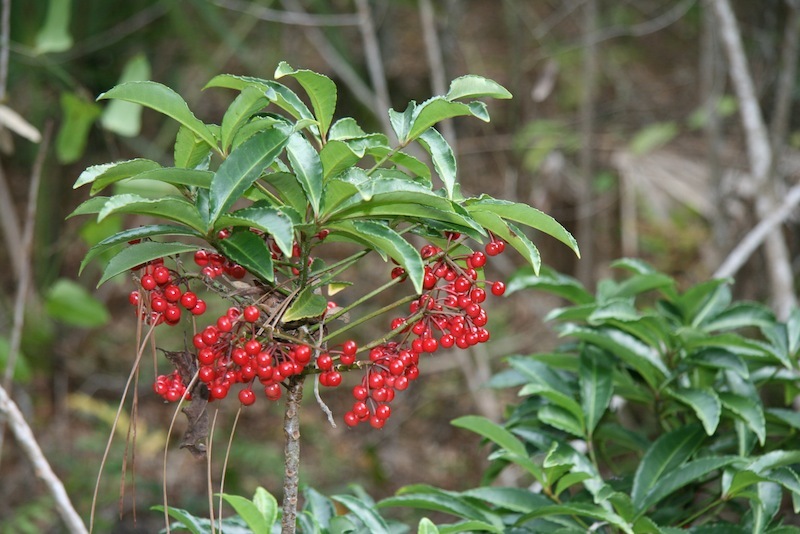 Its botanical name is Ardisia crenata, so it is in the same genus as our native marlberry (Ardisia escalloniodies). Two years ago, a County Commissioner remarked to me about its beauty, saying that he planned to collect seeds to add this gorgeous native plant to his yard. This pest plant still is sold as an ornamental, unfortunately, and you can learn more about via the University of Florida. Please beware: Just because a plant is prolific & grows in a preserve does NOT mean that is is native!